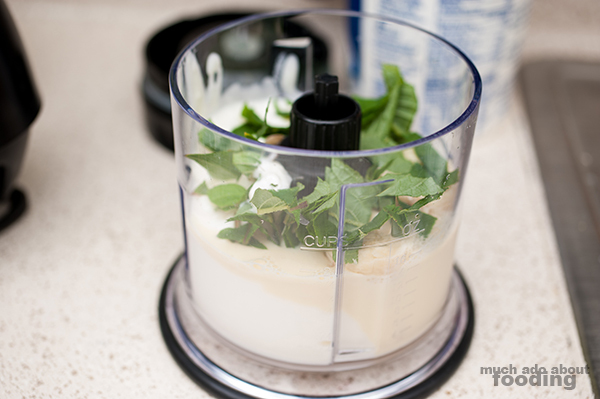 Last week when I posted up the Test Kitchen ingredient for the week, I had promised that I would tell the story of how I came upon choosing fresh pineapple sage. Yes, the pineapple sage is fresh and actually from a plant that Duc started growing from a cutting he got. I had walked by it one day while we were in Home Depot and noticed the very distinct pineapple-y smell that emanated from its leaves. It definitely is named after its apparent scent of the tropical fruit and curious, we had researched on the spot on our phones on if we should buy the cutting; the answer was yes. The plant grew very quickly so it was time to cut it down to size not too long after purchasing. I took quite a bit of it off to play with in the kitchen. As for why we were in Home Depot, well, Duc decided that he was going to grow me an herb garden (cue the "awwwwww" sound effects!) after I told him I didn't like getting flowers but would prefer something that wouldn't die right away and was useful to me. Ever the romantic, he dove into the practice of tending to seedlings in hopes of tasty greens for me and my love for cooking. It may be just the barest hints of a full garden now but it's becoming one of his prides and joys. Seriously, ask him about it if you dare - he'll start gushing and telling stories of each sprout's growth. Pineapple sage itself is not a very commonly used herb, at least from what I've seen. I think people tend to keep it around more for its fragrance in the garden and the beautiful red flowers that bloom from it. It seemed that online, most people used it for drinks and at the time of my putting together a recipe, I only had time to do something similar. I adapted a recipe from this page, and it came out deliciously! 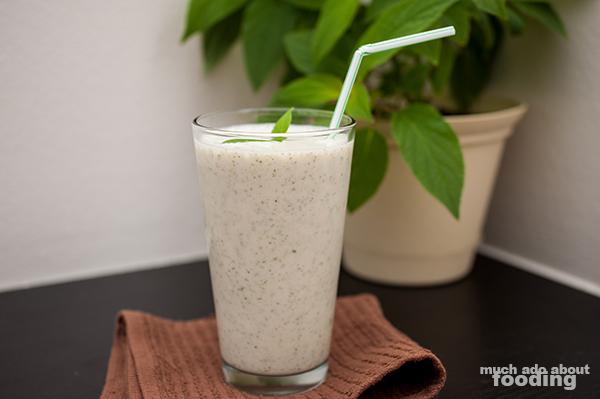 I also really loved the green flecks in the drink from the sage and the light, citrusy flavor in the smoothie. There isn't very much prep in making a smoothie. 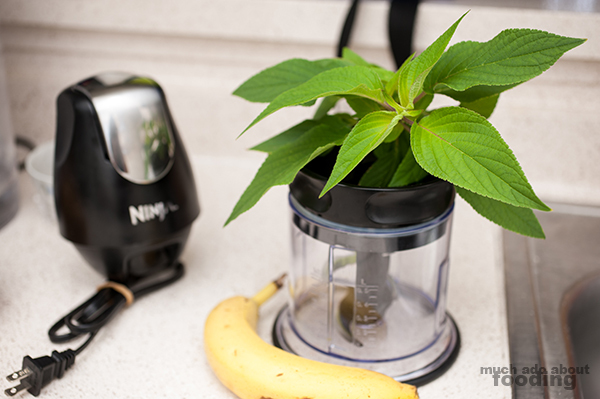 Peel the banana and break into the appropriate size for your blender container. Wash pineapple sage, chop leaves only, and add to container. Add yogurt and milk. Blend. 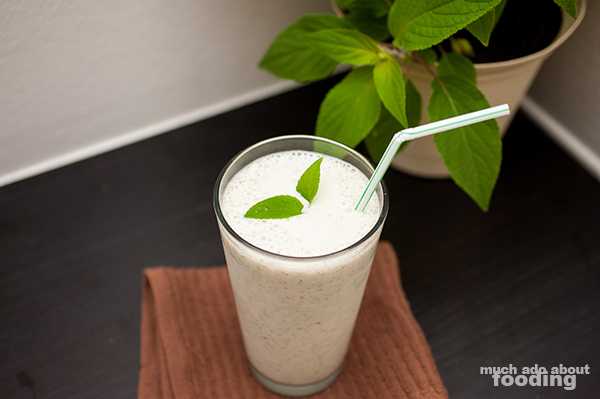 Serve chilled and use smaller pineapple sage leaves for a garnish if wanted. To highlight the pineapple scent even more, consider adding actual pineapple to the blend. I have a fine grind version of bulgur. 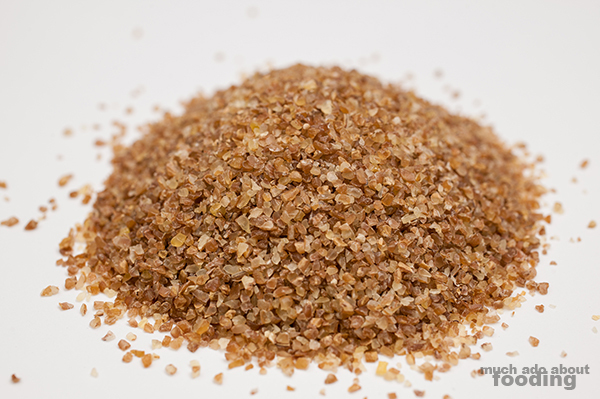 Let me know what you think I should make with it or would like to see bulgur used in/for by commenting on its picture on Facebook later today.